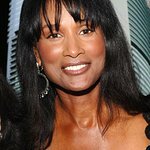 The first African-American women to grace the cover of Vogue magazine (August 1974), supermodel Beverly Johnson, is speaking up on behalf of domestic-violence victims. 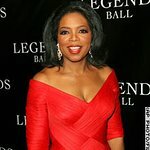 The 59-year-old beauty appeared on the Oprah Winfrey Show (04Feb11) where she took the opportunity to address the fact that she herself was a victim, and aims to help others. Johnson took her ex to court in 2008 after claiming he broke into her house and threatened to kill her. He was convicted in 2009 of making terrorist threats against Johnson and handed 36 months’ probation and three days in jail. He has since filed lawsuits involving Johnson, including a defamation suit against her. In one interview, he denied making threats against Johnson, claiming she lied and faked her injuries. But Johnson continues to fight back and insists she wasn’t faking anything and is now making it her “mission” to be a voice for domestic violence survivors.